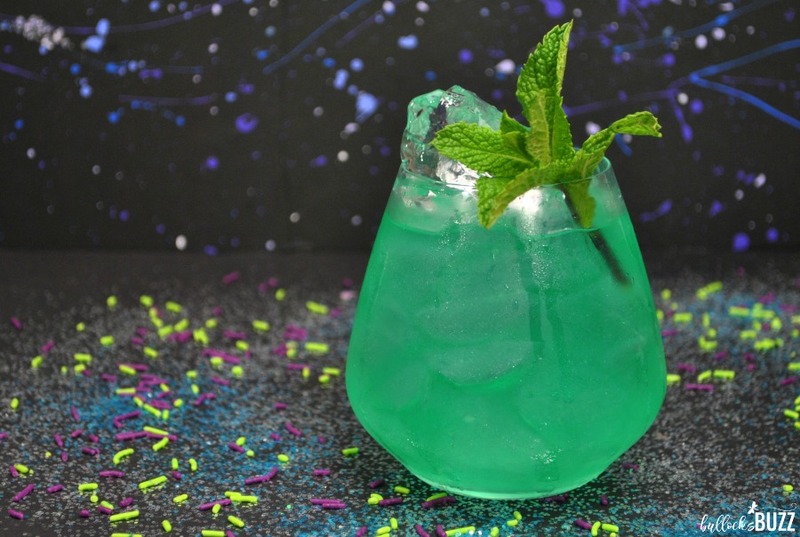 Become a hero in your own right when you serve up this tasty Avengers Cocktail, the Time Stone. This smooth and delicious Marvel Avengers-inspired cocktail is perfect for movie watching parties, and it’s easy-to-make, too. 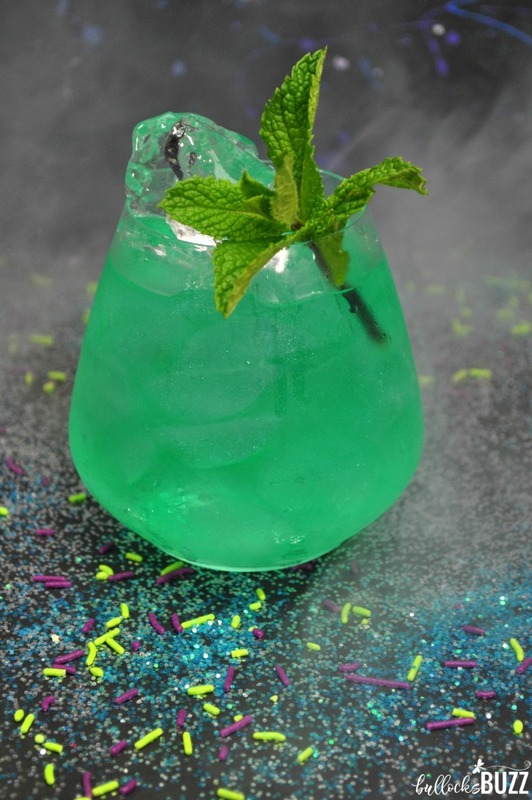 Plus, your kids will love the non-alcoholic version, the Avengers Time Stone Mocktail! We are just days away from Avengers: Infinity War and my family is literally counting down the time until we can see it! So to celebrate the upcoming release I decided to create a tasty and fun Avengers Infinity War-inspired cocktail, the Time Stone, aka the Eye of Agomotto. I love making movie-inspired drinks and treats, and this one does not disappoint. 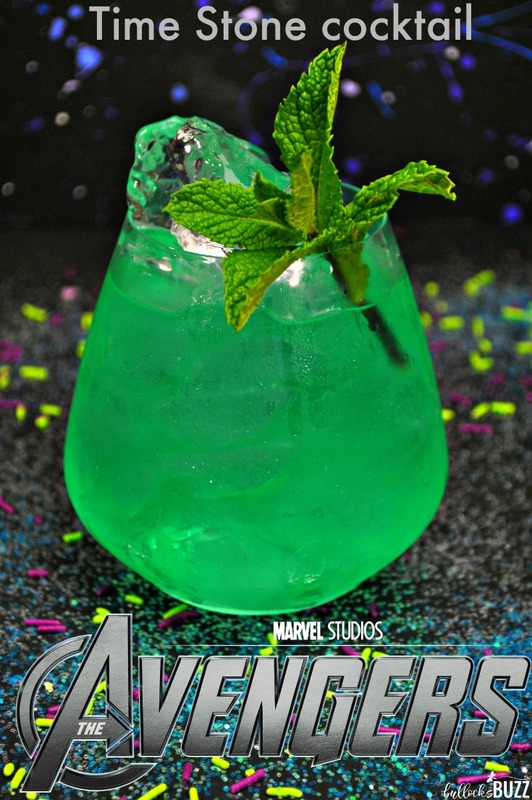 Not only is this Avengers cocktail perfect for the upcoming Avengers Infinity War movie, it also goes along great with any spring or summer time party! This recipe will make 1 glass of tasty Time Stone Avengers Cocktail.  Of course, you can easily double or even triple it to serve more. Ready to see how to make this Avengers drink for adults? And don’t forget to check out the Avengers mocktail recipe for kids right below this one. 2 tsp Wilton Silver Shimmer Cake Dust (this is what gives it the pearlized look, has no taste). Optional. Fill an 8 oz glass glass with ice. Pour the rum over the ice, followed by the triple sec and orange juice. Next, add the Sprite, then the blue curaçao, and mix well to combine. If you want to, add the Shimmer Cake Dust, stir well! With the new Marvel movie coming out April 27th, kids are going to want an Avengers inspired birthday party. 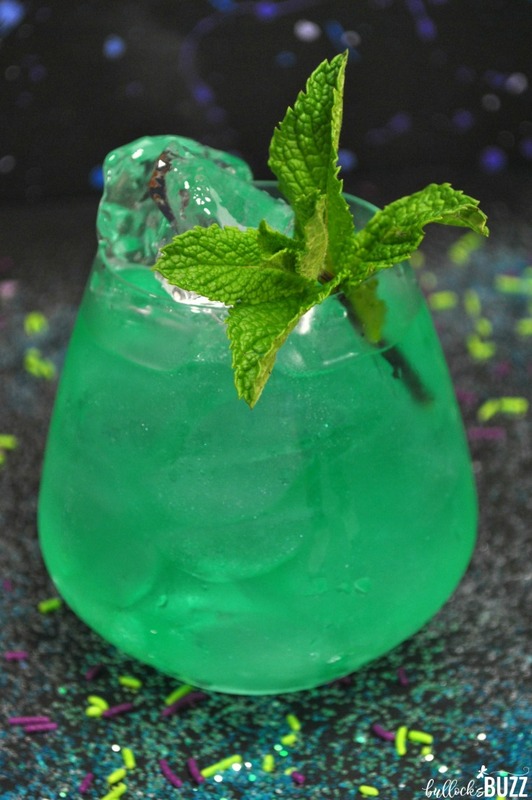 While the adults enjoy their Time Stone cocktail, the kids will love this non-alcoholic version, my Avengers Time Stone Mocktail. 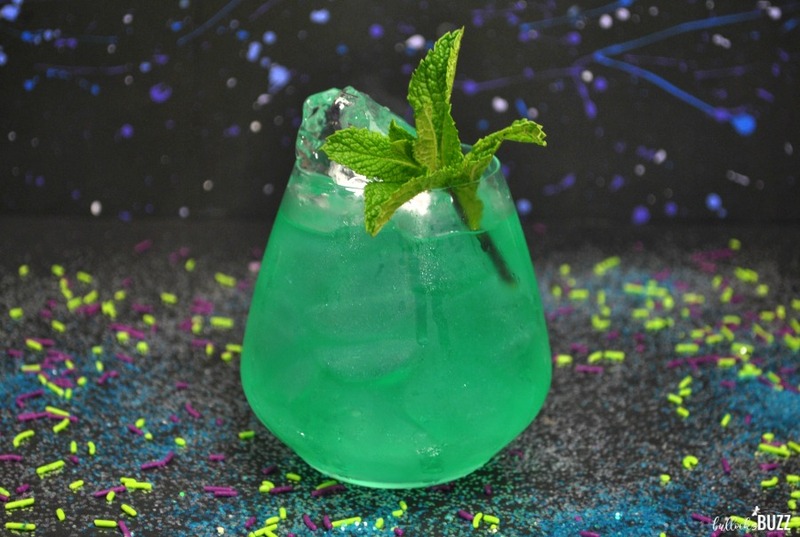 Just like the Time Stone drink, this kids version is quick and easy to make. Add 2 quarts of water to a 1 gallon container. Pour in the drink mix and sugar and stir until the sugar is completely dissolved. Next, add the pineapple juice and the lemonade concentrate, stirring well. Just before serving, add the ginger ale. I really hope you enjoy making these Avengers drink recipes! They’re easy, quick, and oh so tasty! Serve them up at your next party and you’ll be a hero in your own right! Want to know more about the Infinity Stones and where each one has appeared? Check out this awesome article about the Infinity Stones! Looking for more movie-inspired treats? Check out this Angry Birds Kid’s Fruit Punch – Hal’s Crazy Juice recipe! And your kids will absolutely love these Finding Dory Chocolate Covered Waffle Bowls! If you’re wanting to try some other tasty cocktails for adults, this Berry Smash Lemonade makes a fantastically fruity and refreshing drink! And this Pineapple Mint Margarita makes for a perfectly delicious chilled treat for Cinco de Mayo! This looks amazing! I’ve had to make official/unofficial avengers drinks for work when the movie came out at the theatre I work at. This looks 1000000 times better.